Greg was surrendered to us in March 2017 as a 9 week old puppy who was in a state of continual seizure activity. We suspected that he may have ingested some drugs as we could smell marijuana on him esp around his mouth when he arrived. It would be unusual for the marijuana itself to cause the seizures but it is possible that he had ingested other drugs that may have caused it such as crystal amphetamines. The marijuana may have even been given to him in an attempt to stop the seizures and now just contributed to his comatose state. Whether drugs were or were not the direct cause is neither here nor there, we decided to take him under our wing and give this poor little puppy a chance. It took us a few days to get his seizures to stop and then following this he was pretty much in a coma for about a week. We continued to nurse him around the clock and take care of his basic needs like fluids and nutrition. Every day we were seeing little incremental improvements, although they were so small at times we started to question whether we were doing the right thing. The difficulty in this situation is that you just don’t know when they are going to stop improving. We stuck with it though because you don’t know if you don’t try. Eventually we got him to a point where he was able to eat on his own. He was extremely ravenous though and his co-ordination was so terrible that the food would get smeared all over the cage and everywhere surrounding the cage and all over us and all over him. After about a month in our care he was finally able to leave us and head off for the next part of his journey with WARN (Wollongong Animal Rescue Network). He certainly wasn't normal, at this stage he would circle, run into objects and appeared to be deaf and blind. On top of this his seizures kept occurring intermittently which really knocked him around. It wasn’t so much the seizure itself that was the issue, it was the fact that it would take him hours and sometimes days to recover and come around. 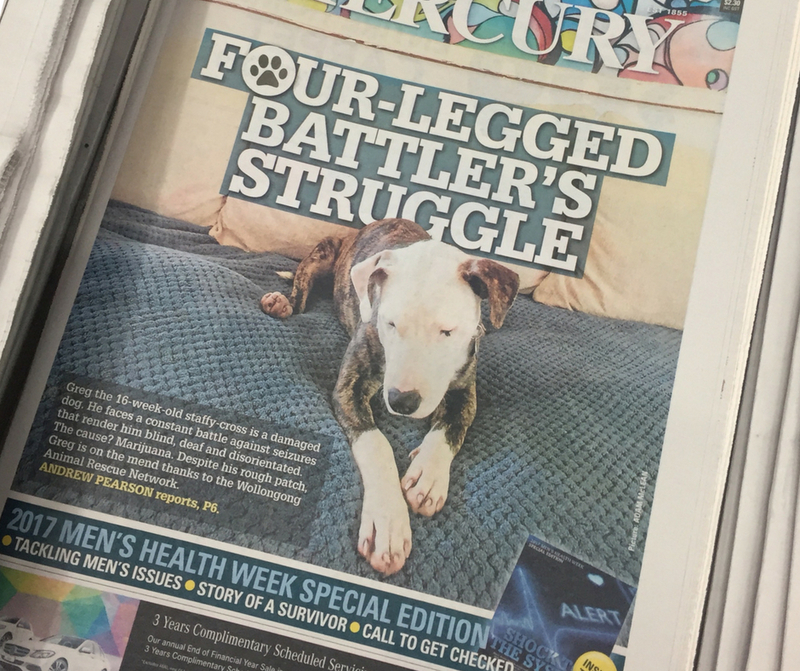 Did you see his story in the newspaper (It was in the Illawarra Mercury)? At WARN is where the hard work really began and we are so thankful to Naomi for having the patience to put up with our special needs boy. 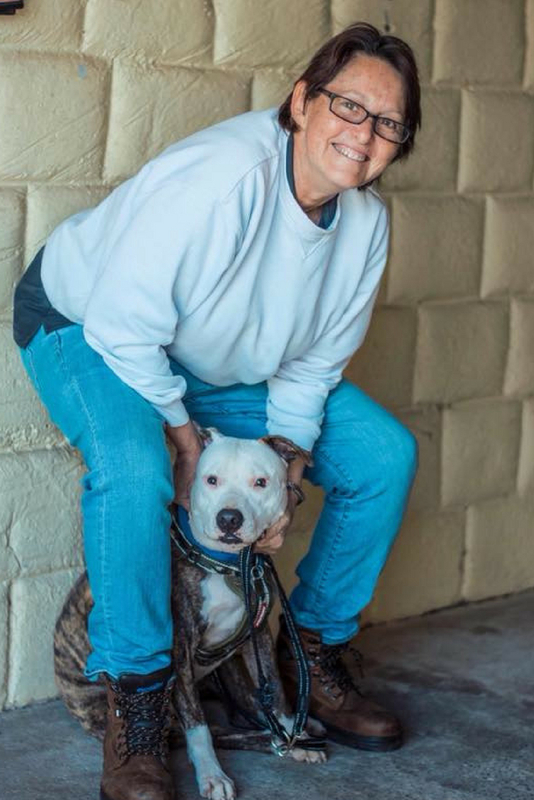 Naomi took him into her home and gave him the TLC needed to produce a dog that wasn't only just medically well but socially well. 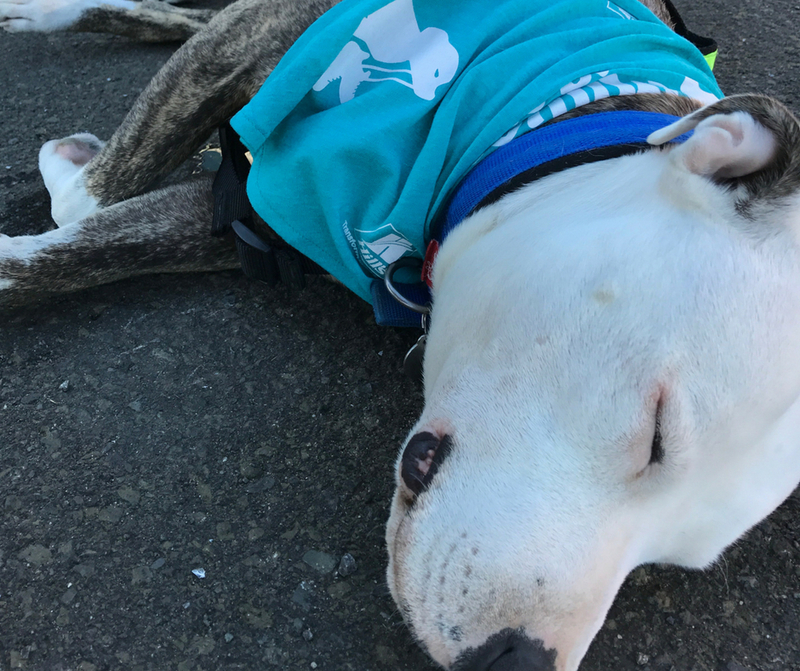 We knew that Greg was never going to be normal, but he needed to at least have enough life skills to be able to mix with other dogs and people and enjoy life. His development was very slow and has been put back by the fact that he was so unwell and often lacked consciousness throughout his socialisation period, and the rest of his puppyhood. He was a pain in the backside with his barking. The only way it could be dealt with was by giving him things to chew on so his mouth was otherwise occupied. Despite his annoyances though he had a special way that just kind of makes you go "Oh Greg!" and you can't help but smile. He seems to have this effect on nearly everyone he meets. He had another setback when he started to limp on his backleg. I turned out he had a developmental problem in his knee called OCD and needed surgery to fix it up. The surgery was done and again it was up to the fabulous volunteers at WARN to provide him with the right aftercare and rehabilitation to get him up and functioning again. Through this period we had a few issues with him biting and with retrospect it was probably pain that was resulting in his biting. Unfortunately because he doesn't behave normally it can be difficult to judge what is going on. The Greg of today is a well rounded individual that enjoys nothing more than a sleep on the grass in the sun. He loves getting out and exploring and he brings joy into the lives of everyone he meets. Greg has also been getting some training from the qualified trainers from The Dog Project and if all works out Greg may actually become a therapy dog. He has just been adopted by Jane who had been taking him for respite care but has grown to love him so much that she wanted him as part of her family. Greg is still on anticonvulsants but his seizures are now very rare. He can't hear but he can see, and he is quite uncoordinated but will occasionally walk in a straight line and not fall over. It's been a long journey but it's all worth it when you feel the love that this guy gives off.